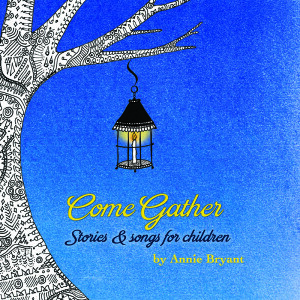 "The stories literally bring me to tears of joy and speak right to the children's souls"
"Mother Earth in every track"
"My kids are simply loving this CD. I can not tell you how much joy and peace it brings to our home and car! Thank you"
It’s so wonderful to have an alternative to screens and I love watching my daughter’s face in rapt attention as she imagines the scenes you describe. Much joy in singing along to the songs too, we sing them when we don’t have the cd with us! Come Gather is definitely our favourite tune. Thank you Annie for such a beautiful and rich offering. You have such sympathy with the world as a child sees it, their passions and concerns. The sense of mystery about the natural world, and the challenges of finding their way through the mysteries of adult thinking! You are a wonderful storyteller. Hazel (4) & mother Lyanne, Mullumbimby Australia Mother Earth in every track. My son just adores it. He goes to bed with it and it’s the first thing I wake up to in the morning filling our house with Joy! Fu loves Annie’s songs & stories. We both sing along & I like to think of the words when life feels dark. Fu often talks about the little driftwood star – that character and story have really touched his heart. 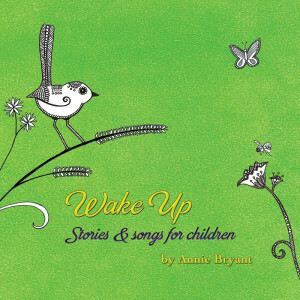 Our kids are absolutely riveted when listening to Annie’s beautiful blend of stories and melodies. As musicians and music lovers, we love bringing Annie’s inspiration into our home. You wouldn’t believe how much the girls love your CDs! I have left them at Kindy for Elise’s entire class to listen to and Amy lends them to her school friends… And yes I sing-along in the car too! Thank you for sharing your special talent with us. When we turn on one of Annie’s CD’s it’s like a little breath of calm, peace, joy and love descends on the house. Beauty, truth and goodness shine radiantly from Annie’s carefully chosen and exquisitely delivered tones and words. Each of Annie’s songs and stories are like a rainbow bridge between heaven and earth: they enlighten and heal all listeners. Thank you Annie for your diligence and imagination for composition and delivery. It is a gift to our world that we may be entranced by you and your fine community of children’s voices and fellow musicians. 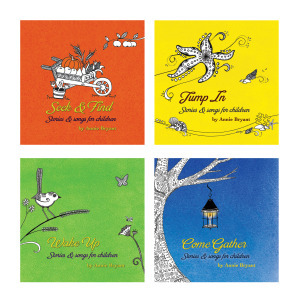 “Stories & songs for children” are a stunning range of four holistic seasonal songs and story CDs that truly speak to children. 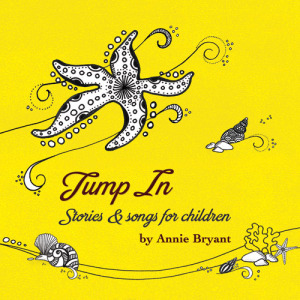 Creator and performer Annie Bryant has produced a range of exquisite, beautifully chosen stories and songs for the lower primary and pre school child. Told with warmth and joy Annie’s attention to detail, passion for keeping alive the art of storytelling and age appropriateness are rare in these times. 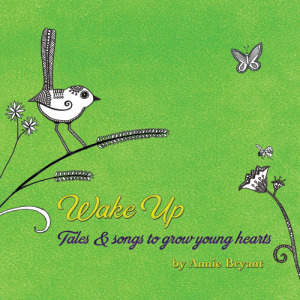 Combined with acoustic music and melodic singing the CDs are bursting with life and reflect Annie’s love of nature and honour the changing seasons. 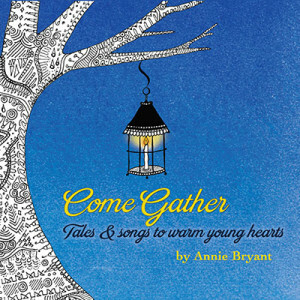 Through both story and song, Annie’s gentle voice invites us into a listening space. Her stories are simple yet wondrous, warm and wholesome – a precious gift in this fast paced world. Susan Perrow, Therapeutic Storyteller, Educator & author of Healing Stories for Challenging Behaviour & Therapeutic Storytelling:101 Healing Stories for Children. These CDs hold folk songs and tales with ancient principles interwoven into contemporary stories that young children identify with, such as patience is rewarded and many hands make light work, keys to early learning so often overlooked in our current world of instant gratification… The children were enthralled not only by Annie’s stories and songs but also the way she embodied her character with lots of comments about her “beautiful crown and dress”. It felt like we had all been in a magical space together. So great to see such high quality children’s entertainment! 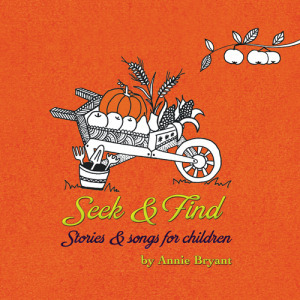 Annie’s original songs and stories are brought to life by her lovely voice and joyful music, and inspired by the wonder of a healthy childhood. A delightful collection that speaks to the simple experiences of life: being in nature, experiencing the seasons, and working and playing together…The stories and songs are like a nourishing loaf of bread, meant to be shared and enjoyed, and very satisfying….Children today, more than ever, need bread not stones! Thank you Annie! "..when we turn on one of Annie’s CD’s it’s like a little breath of calm, peace, joy and love descends on the house." The Tales & Songs Bundle includes The Seasonal Collection 4 CD pack + Listen to the Land (newest album) and is available at a bundled rate of $75. That’s almost four hours of nourishing nature-inspired audio stories and songs for your little ones. Are you looking for a specific tale to support your child through a challenging time? I love working with parents and organisations to handcraft tales that help bring healing or understanding to a situation. 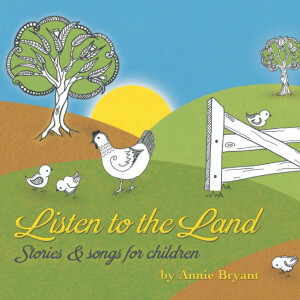 My new album Listen to the Land is available now and to celebrate I’m writing a series of posts filled with simple nature activities to bring each of the stories to life, as well as connect your little one with the natural world. I am absolutely thrilled to announce my newest collection of tales & songs, Listen to the Land is available now and bursting with earthy goodness for you and your little ones to share. 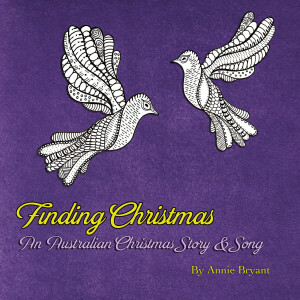 Annie Bryant is a storyteller and songwriter currently living with her family on the far south coast of NSW Australia. 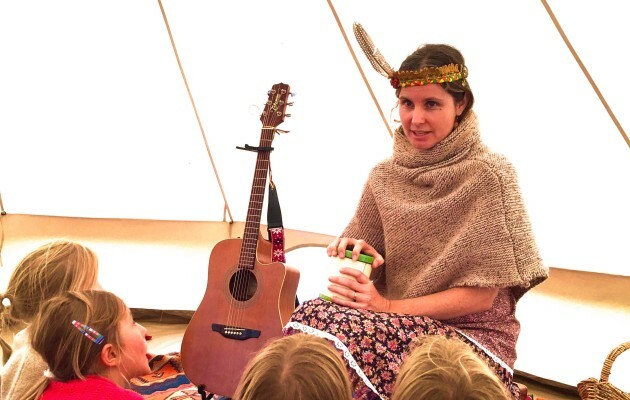 Annie brings a contemporary twist to the ancient art of storytelling with a combination of mostly original folktales and fairytales woven together with her own enchanting voice and sing-along family folk songs, each one written to tickle, delight and honour the sensory world of the young (& old) child. All of her stories & songs are written to inspire connection with our natural world. 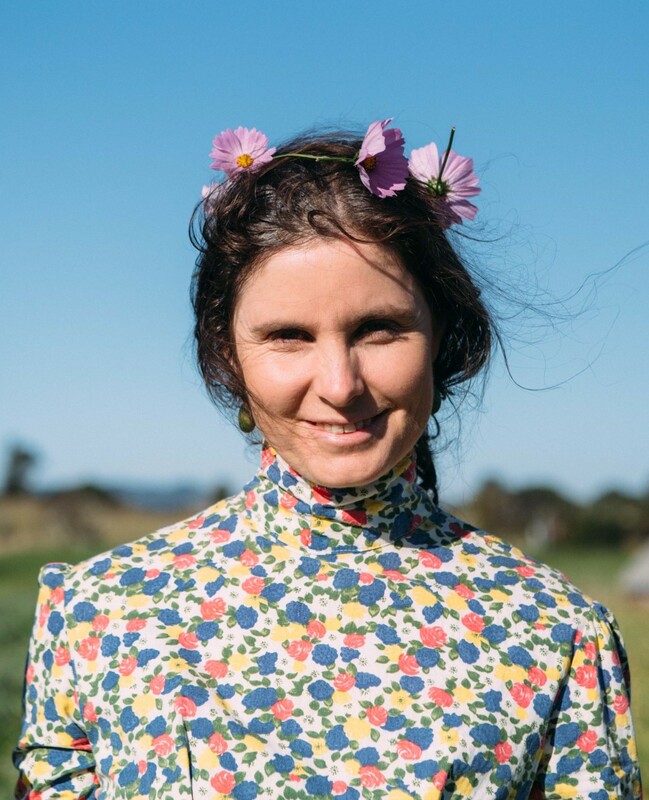 Her fifth & newest collection of tales & songs Listen to the Land is inspired by her childhood experiences growing up on a farm in Victoria, as well as her own family’s striving for a sustainable life on the land. This full-length album celebrates the magic of bees to hardworking mother hen, from traditional farming to bustling permaculture gardens, from green rolling hills to wild bushland. 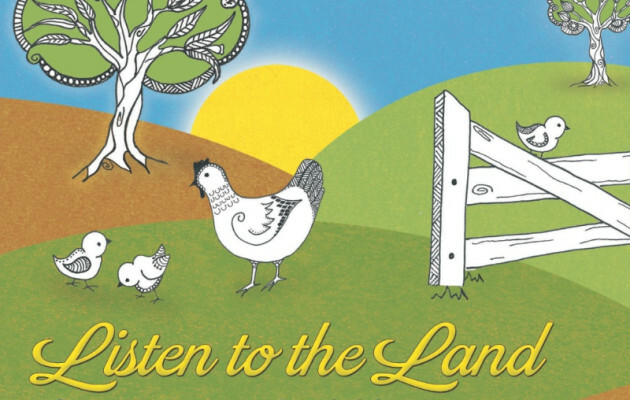 Listen to the Land explores our connection to Mother Earth, inviting everyone – big & little – to find our own ways to listen. 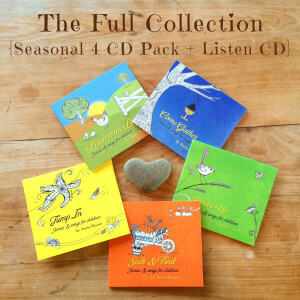 The Seasonal Collection includes 4 separate recordings, each one celebrating the qualities of nature’s Seasons. Come Gather explores the quiet of Winter, Wake Up the joy and celebration of Spring, Jump In marks the long days of Summertime play, and Seek & Find gives thanks for the Autumn harvest. Perfect as bedtime stories, on long car trips or for rainy afternoons, these waldorf-inspired kids stories and kids songs honour and celebrate the wonder, magic and joy of childhood and the beauty of our natural world. 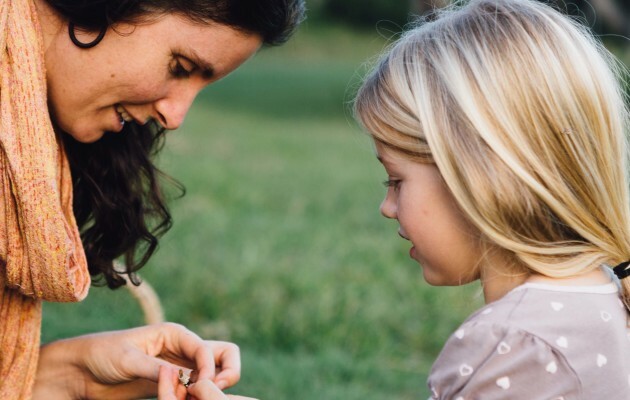 Annie invites families inside her magical Storytent which pops up in fields, forests and grassy patches all over Australia as well as at festivals, schools and special events. Sign up below to hear about new recordings, subscriber giveaways and upcoming Storytent performances.